Deku and his classmates continue to march on their path to becoming professional heroes. They will be competing against one another in the U.A. sports festival, where various events will push them to use their quirks as best they can. It’s important they make a good impression because their performance at the sports festival will have a big impact on their career trajectory. Of course, it wouldn’t be My Hero Academia if it was all just fighting and quirks. The cast of characters that surrounds Deku get a chance to breathe. To show who they are and what’s motivating them to go down this path. It’s what makes My Hero Academia stand above most other anime. It would be simple to just show the action, which would still make it a fun watch. However, it’s able to incorporate elements that let it have depth and soul. Ochaco is a perfect example. She reveals that the reason she wants to become a professional hero is so that she can help her cash strapped family. Being a hero for money might seem greedy on the surface, but it’s made obvious that all she wants to be is a good daughter. She even feels guilty about her motivations for being a hero, but Iida reminds her that her reason is a valid and noble one. Things also get dark. Todoroki’s origin story receives a good amount of attention. He has a toxic relationship with this father, who views him as a vehicle for achieving the glory he could never attain. His dad even went so far as to arrange a marriage with a woman who had the quirk he thought would produce the best offspring. These family dynamics create a traumatizing childhood for Todoroki, who is being tied down by the weight of it all. The sports festival is still at the center of it all, though. The contestants go all out against one another regardless of what type of competition they’re involved in. These contests are all filled with tension that increases the stakes of it all. It really gets through just how important the sports festival is to all of the participants and leads to some exciting moments. With the stand out moment being the battle between Deku and Todoroki. 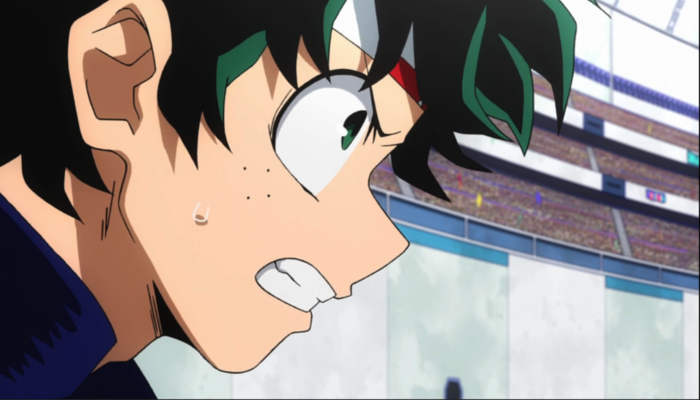 As the waves of excitement and hype keep coming in, My Hero Academia always finds a way to gut punch viewers with emotional moments. There’s Shinso, who’s always pegged as a future villain because of his brainwashing quirk, and desperately wants to be a hero to prove them all wrong. Another one of these moments comes courtesy of Ocacho (Best Girl! ), who fields a call from her father after being eliminated from the tournament. He lets her know that it’s OK, and he’s very proud of her. Cue waterworks. This first half of the second season ends in suspenseful fashion. Todoroki must come to grips with his past to make a course to a brighter future, while Iida will be dealing with the aftermath of an attack on a family member. In the background lurks a new villain that will pose a formidable challenge to any hero. The release of the second half of this season can’t come soon enough! This set brings over design cues from the first My Hero Academia Limited Edition set. The included chipboard art box is bold and bright, fitting perfectly with the source material. The characters on the front and back of the box have a glossy embossing, which looks very nice. There are some puzzling design decisions, though. The art box on this set is quite a bit larger than the previous one, with some space needed for a box that holds all of the goodies. However, I feel like the box holding the extra goods could be a thinner, allowing for the Blu-ray case to be a bit bigger. The reason I mention this is because the hubs on the Blu-ray cases that hold the discs are a bit lacking. One of the discs was loose, but fortunately not damaged because Blu-rays hold up better than DVDs. However, there is a lot of extra stuff for people who enjoy it. There is an All Might keychain, two pennants that have U.A. inspired designs on them, a replica of the headbands used during the sports festival, a very nice art book, and a set of character cards. These are items that will bring a smile to any fan of this anime, and purchasers will definitely get their money’s worth. My Hero Academia looks awesome on Blu-ray. As with other Funimation releases it sports a variable bit rate, which can climb to nearly 40Mbps when warranted. There are no major anomalies to report on the video front, save for some extremely minor banding that most viewers won’t notice. There is a 5.1 English audio track along with a Japanese 2.0 track. Both sets of voice actors do a wonderful job of bring these characters to life. The 5.1 track is a bit more exciting to listen to, however just go with whichever your preference you have in regard to dub or sub. Regardless of the choice you’ll still get a great experience. There are lot of extras for fans to enjoy once they finish watching all of the episodes. There are set of 11 Inside the Episodes, which are interviews with the English cast that talk about their characters and what being a hero means to them. There are also some charities that get the spotlight. Very cool. Yoshihiko Umakoshi, character designer and animation director, is also interviewed. A nice inclusion is episode 13.5, Hero Notebook. This is a recap of the first season with Deku serving as a narrator. It’s helpful to catch up for anyone who viewed the first season but, works well for newcomers. A perfect way to introduce the series to friends or family. The requisite textless opening and closings along with promotional videos for other Funimation properties are also included. My Hero Academia is hitting on all cylinders during this set of episodes. We get action from the sports festival, plenty of emotion littered throughout, and a wonderful set of touching moments between characters. 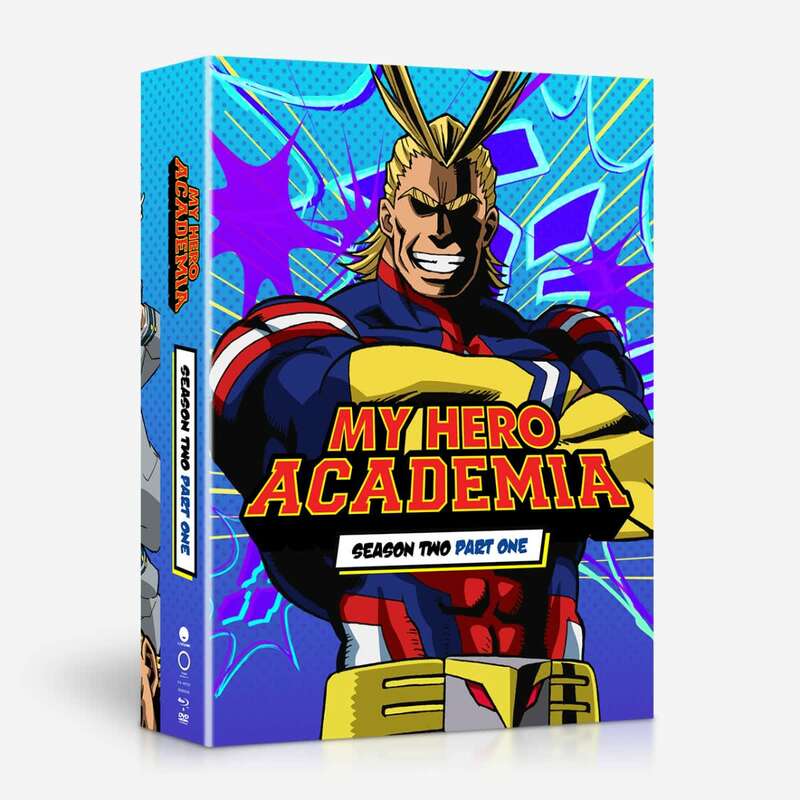 Funimation has put out a premium release with this box set that will make a welcome addition to fans’ collections. Interested in picking it up? You can do so here. Note: We received a review copy of this item from Funimation in exchange for our honest review. I love MHA so much!! It’s one of the few anime series that I’m actually reading ahead of in the manga. It’s also one of the few dubs that I enjoy. I’m pretty excited to see future releases of the anime, and to see how close they’re going to keep it to the manga’s story. It seems like a lot of cool action series have been popping up lately though! I just finished a manga series called Ultimate Outcast that has the best fight scenes I’ve ever seen in a manga. They were so dynamic, and super easy to follow. The plot was also really interesting! If you’re looking for another action series to pick up, I definitely recommend trying it out!